Your 2018 Financial Reporter Awards finalists revealed! "Our voting numbers have increased each year since we launched the Financial Reporter Awards, and they now represent a true benchmark for quality within our industry." Financial Reporter is delighted to announce the finalists of its 2018 Awards, which saw a record number of votes cast by the intermediary community to recognise the industry’s best and brightest. Now in its ninth year, the Financial Reporter Awards launched with its biggest ever programme including brand new categories and a revamped finalists format. 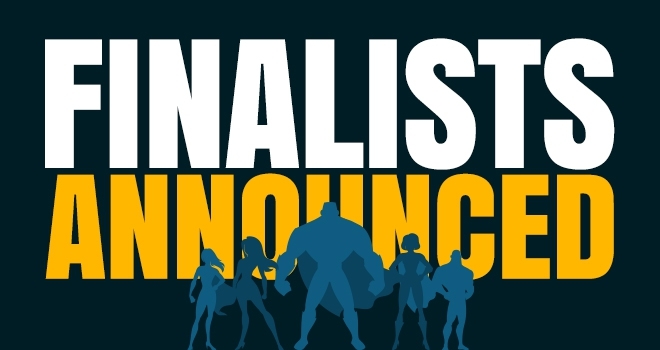 For the first time ever, we have announced the top three finalists in each category and will reveal your winners at our Financial Reporter Awards Party on the 15th of May. Celebrated once again at the historic and spectacular Museum of Science and Industry in Manchester, the Awards Party will feature a champagne reception, superb food, fantastic company, and some of Financial Reporter's infamous surprises along the way – certain, as always, to be an evening to remember. To view all the finalists for the 2018 Financial Reporter Awards, click here. Barcadia Media director, Andrew Shields, said: "Our voting numbers have increased each year since we launched the Financial Reporter Awards, and they now represent a true benchmark for quality within our industry. "We are delighted with the incredible turnout for this year’s Awards and a massive congratulations goes to all of our finalists – with so many votes, many categories were hotly contested, and you should all be very proud. "It was a true pleasure to look over all the votes and we can't wait to reveal your winners next month.